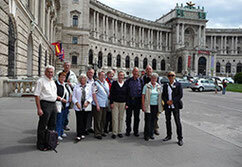 The Hofburg palace was for many centuries the centre of the Habsburg empire. 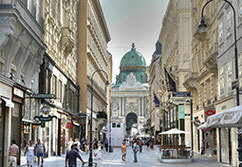 If you would like to see and to feel Viennas imperial atmosphere, than this tour is a must do. We will start our guided city walk with a deep look into the authentically-furnished Imperial Apartements and the tasteful Sisi museum.The museum presents a sensitive account of the empress’s life. 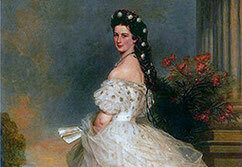 There are many stories surrounding Elisabeth’s fascinating personality, but at the Sisi Museum legend and reality are presented and examined from the perspective of the latest scholarly research. Let me explain you the true story and get all the stories behind the wall. The museum attractions provide historically accurate insights into the tradition of the Habsburg family and daily life at court. Believe me, you will be impressed! Furthermore I would be delighted to show you the Imperial Crypt. located beneath the Capuchin Church and is intended for members of Austria’s former Habsburg dynasty, who have been laid to rest in the crypt since 1618. 149 Habsburgs, including 12 emperors as well as 19 empresses and queens, have their final resting place here. The magnificent double sarcophagus of Maria Theresia and her husband, Emperor Franz I. Stephan von Lothringen, is a work by Balthasar Ferdinand Moll and a masterpiece of baroque art! In strong contrast to this is the plain sarcophagus of her son Joseph II. The last emperor to be buried here was Franz Joseph I. (1916). The sarcophaguses of Empress Elisabeth and Crown Prince Rudolf are situated in the crypt, which is looked after by Capuchin monks. 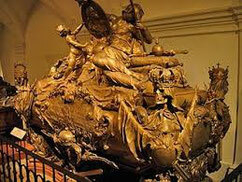 The hearts of the Habsburgs were buried in the Heart Crypt of the Church of the Augustinian Friars from 1654 to 1878. 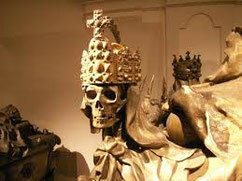 Burials take place in the Imperial Crypt to this day: the last Austrian empress, Zita, was buried here in 1989. And on 16 July 2011, her eldest son, the former Crown Prince and European politician, Otto Habsburg, was laid to rest here alongside his wife, Regina. This private walking tour takes 2,5 hours and is particular a must for those, who really would like to go into Habsburgs private life and history! No waiting line, we will skip the line! 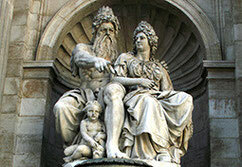 Itinerary can be customize to special interest.